Your hearts will be stolen by this beautiful vintage farmhouse built in 1898 that oozes charm, natural light and history! 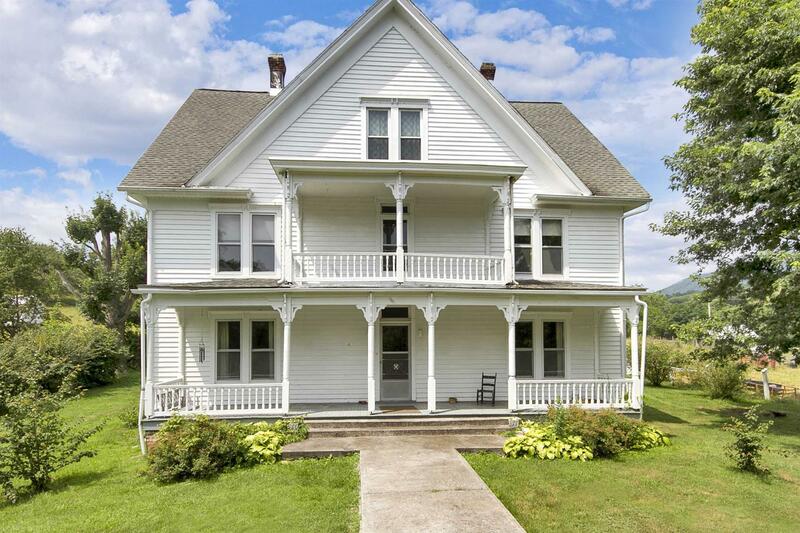 This home sits on 4.18 acres of land with a 120 year old Sassafras tree in front of the home, 2 mature grapevines and red delicious apple trees, 7 buildings and road side frontage. It features functional transom windows over doorways, 3 spacious bedrooms, ample living space, a large kitchen with separate dining room. You will love the maple and black walnut hardwood floors and the craftsmanship this home exudes. There is extra storage located in the attic and the home is served by its own private well. This home&apos;s versatility makes it a perfect location for a Bed and Breakfast or a single family home. Directions: Take I-81 Towards Bristol. Take Exit 98 For Va-100 N Toward Dublin/Pearisburg. Turn Right Onto Va-100 N/Cleburne Blvd. Destination Will Be On The Left.